Dylan and Bethany met at a Crossfit competition, a passion that they both mutually share. They hit it off at the event, and after 6 years together he popped the big question. He proposed in Michigan, in his hometown, in front of all of his family. Bethany said he hid it well and she wasn’t expecting it. When she would see friends getting engaged he would crack jokes about it, when really he was covering up his proposal so it could be a surprise. Dylan is a business owner and Bethany works full time, so the idea of a destination wedding sounded easiest. Once they were working with Maddy of Destify it became a seamless process. Bethany said, “She was so good at emailing, texting, helping us figure it all out”. The couple agreed the most stressful part of planning a destination wedding was that you couldn’t see your venue in person. They chose the Iberostar Bavaro Suites in Punta Cana, because of the beautiful beach along the Caribbean, something the couple both desired. Once working with the department they handled everything by email. Bethany said she had questions every day and the department was always responsive in getting back to her with answers. The couple had over 50 guests attend the wedding. In fact, many of the guests had such a great time that they extended their stays after the ceremony. They held their wedding on Sunday at 5pm on the beach. Afterward, the couple took sunset pictures before meeting all of their guests at their private reception. For their private reception, the couple went all out and booked a DJ who surprised the couple with a live MC too. Although the reception lasted for 4 hours, it went by in a blur. Bethany said, “We were lucky to have a good crowd, everyone had a great time and danced all night”. Everyone partied right up until the 11pm cutoff time. Many of the guests also participated in a snorkeling excursion, which turned out to be the perfect way to experience the Dominican Republic. 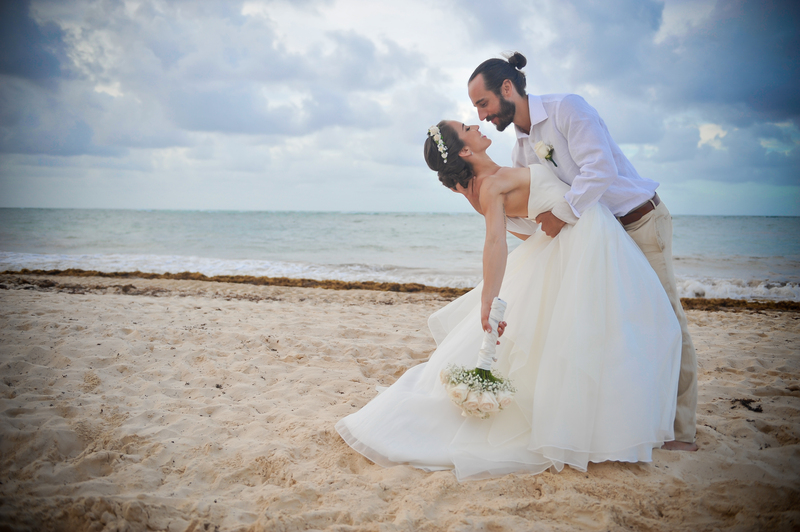 The couple highly recommends the Iberostar wedding department and agreed that both the food and entertainment was great. Bethany’s advice is to stay in communication with your wedding coordinator often. Never give up on each other, and make time for yourselves throughout your vacation!